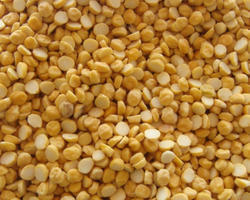 We are readily instrumental in providing an inclusive variety of Chana Pulses. Shrih Trading Co Pvt Ltd is the largest Manufacturer/ Wholesale provider of bulk organic non-GMO herbs, spices, seasoning blends, teas, ancient grains Organic Pulses, Curry Powders, Blended Spices, Condiments and other Indian commodities all over the world. Orchid Exim (india) Pvt. Ltd.
Having a positive quality management system, we are involved in presenting a comprehensive compilation of Matki Dal. We bring forth our vast industrial experience and expertise in this business and are instrumental in offering a wide assortment of Moth Bean. We are offering Green Gram Pulses. Our range is popular among our patrons based all across the world owing to purity and longer shelf life. Navjan Deales several Type of pulses.